QtitanRibbon is a collection of widgets (control elements) that will help you quickly and easily add a next-gen user interface to your application (see Figure 1). The product is completely based on Qt SDK. Figure 1. Qtitan Ribbon implementation. A wide choice of styles, including Office 2007, Office 2010 (Blue, Silver, Black, Aqua). Office 2013 is under development. any other IDE's the Qt product integrates into. 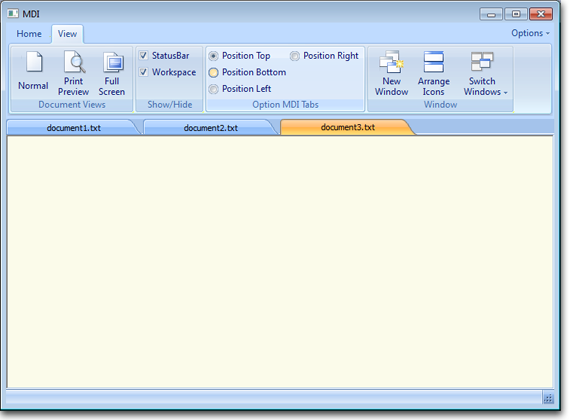 Ribbon is the main element of the user interface and contains several tabs. The content of each tab is organized into groups (see Figures 2, 3). Figure 2. Main tab selection. Figure 3. 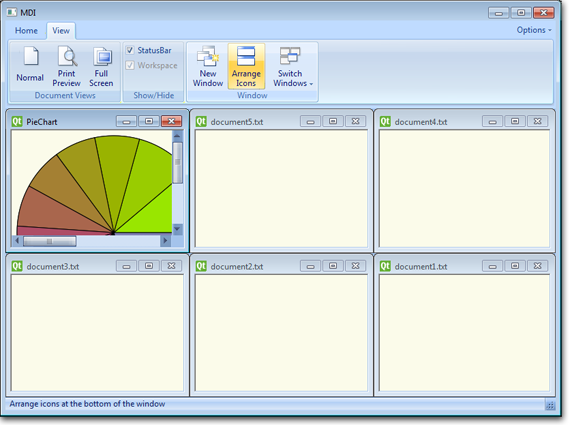 Selection of the main tab and activation of the context menu. Groups allow you to automatically position widgets. Another useful feature of a group is its ability to minimize whenever the ribbon width is changed, yet providing access to all of its features. Figure 4. Group positioning depending on the ribbon width. 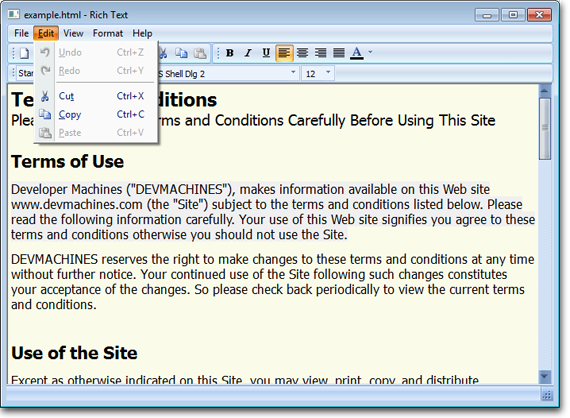 When a group is minimized, the user can access its control elements using a popup window that can be opened by left-clicking on the group (see Figure 5). Figure 5. The control elements of a minimized group are accessible. 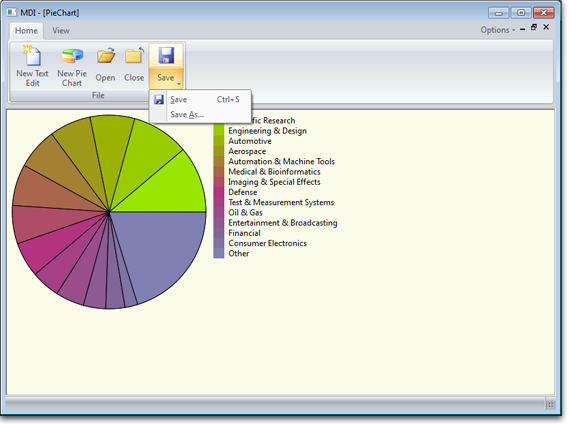 The button in the top left corner of the ribbon opens the application menu (see Figure 6). 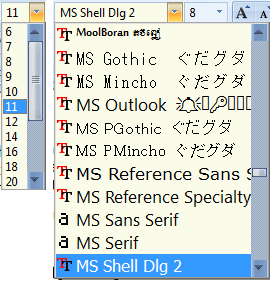 QtitanRibbon supports MDI (Multiple Document Interface) (see Figures 7, 8). Figure 7. Arranging the application's child windows. Figure 8. The child window of the application is maximized. You can also use MDITabs that will allow you to manage child windows. Figure 10. Offi?e 2007 Blue. Figure 11. Offi?e 2007 Silver. Figure 12. Offi?e 2007 Black. Figure 13. Offi?e 2007 Aqua. 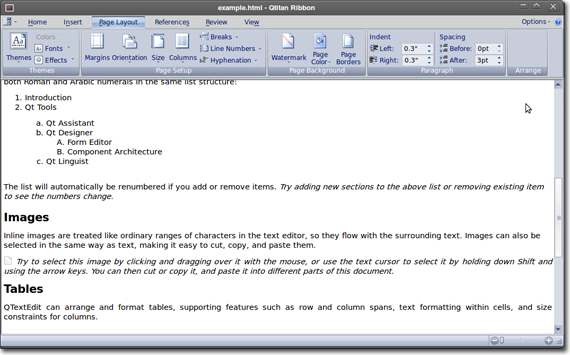 You can use the styles listed above in the classic view of the Qt user interface (see Figure 14) so the all Qtitan's styles is inherited from QStyle. Figure 14. Support of the Offi?e 2007 style and its theme. A control element should have several visual representations. For instance, if used on a ribbon, a control element can be used both with a large and small icon, with text or without it. When the ribbon changes it width, the elements should react to it accordingly. 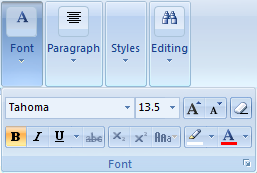 You can preview buttons on the ribbon depending on their size and current state (see Figure 15). A button with a popup menu enables the user to select a command from the list (see Figure 16). Figure 16. Possible states of a button with a context menu. Figure 17. Split Button state options. Figure 18. Split Button state options. You can join small buttons into a group (see Figure 19). Figure 20. Check Box & Radio Button state options. Figure 21. ComboBox state options. Figure 22. Use of the Slider component in a ribbon group. Figure 23. Use of the slider component in the status bar. Figure 24. SpinBox in Qtitan Ribbon. Horizontal and vertical scrolling can be managed according to the currently selected theme and can be used both on a ribbon and on a form. Figure 25. Managing horizontal and vertical scrolling. Figure 26. Displaying text and images using Label. The appearance of QTabBar, a regular control element, is defined by the currently selected theme. Figure 27. TabControl in QtitanRibbon. The look of the standard status bar (QStatusB?r) also depends on the currently selected theme. Figure 28. StatusBar in QtitanRibbon.